N 11° 7' 59" and E 42° 53' 8"
‘Ali ‘Addé in Ali Sabieh Region is located in Djibouti about 36 mi (or 58 km) south-west of Djibouti, the country's capital. Local time in ‘Ali ‘Addé is now 06:41 PM (Saturday). The local timezone is named Africa / Djibouti with an UTC offset of 3 hours. We know of 8 airports in the wider vicinity of ‘Ali ‘Addé. 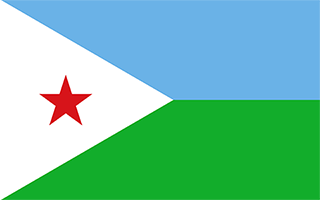 The closest airport in Djibouti is Ali-Sabieh Airport in a distance of 11 mi (or 18 km), West. Besides the airports, there are other travel options available (check left side). Depending on your travel schedule, you might want to pay a visit to some of the following locations: 'Ali Sabieh, `Arta, Dikhil, Djibouti and Tadjoura. To further explore this place, just scroll down and browse the available info. Let's start with some photos from the area. Ali Sabieh Region is a region in southern Djibouti. Ali Sabieh is a Region in Djibouti by area, with a mainland area of 2,400 square kilometres (900 sq mi), it is larger than Andorra. It lies along the national border with Somalia and Ethiopia. Its capital is Ali Sabieh. The Arrei Mountains is the highest point in the region of Ali Sabieh. Located at 11.1333, 42.7167 (Lat. / Lng. ), about 11 miles away. Ali-Sabieh Airport is an airport serving the city of Ali-Sabieh in the Ali Sabieh Region of Djibouti. Located at 11.15, 42.7167 (Lat. / Lng. ), about 12 miles away. The Boura Mountains cover a area in Djibouti. With a mean peak height of 1037 metres (3,402 ft), the ecology of this landform is semi-desert. The mountain is located approximately 32 kilometres (20 mi) east of Ali Sabieh, 13 kilometres (8 mi) from Assamo by road. The altitude and size of the range affects the climate in the mountains precipitation levels vary greatly and climatic conditions consist of distinct zones. Wildlife live in the higher peaks to elevations of 1,037 m (3,402 ft). Located at 11.0667, 42.8667 (Lat. / Lng. ), about 5 miles away. These are some bigger and more relevant cities in the wider vivinity of ‘Ali ‘Addé.